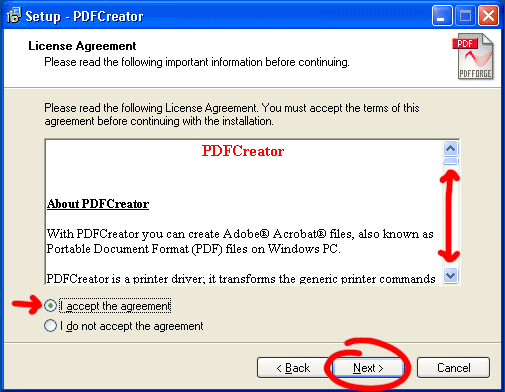 If your program does not have built-in PDF Exporting capability, and you do not have Adobe Acrobat Professional, it is still possible to create PDF’s from whatever software you like! Well, as long as your software supports printing! 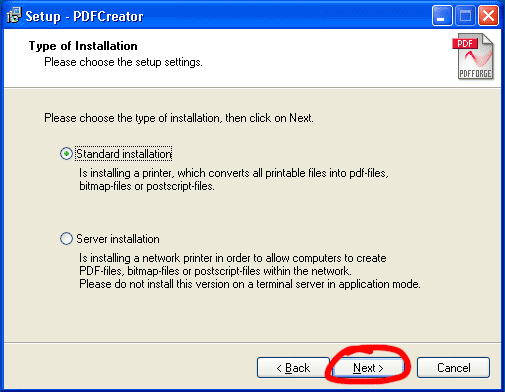 The trick is to use a print driver that outputs a PDF instead of a piece of paper. 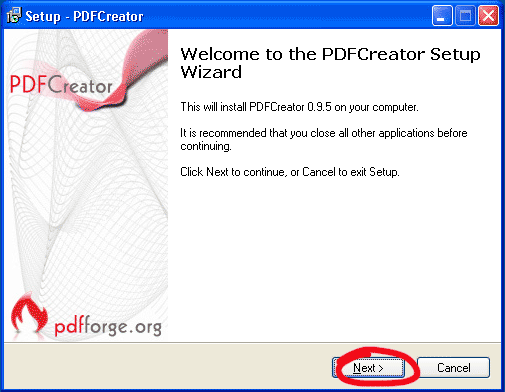 The one we recommend is called “PDF Creator.” It can be found at Sourceforge. 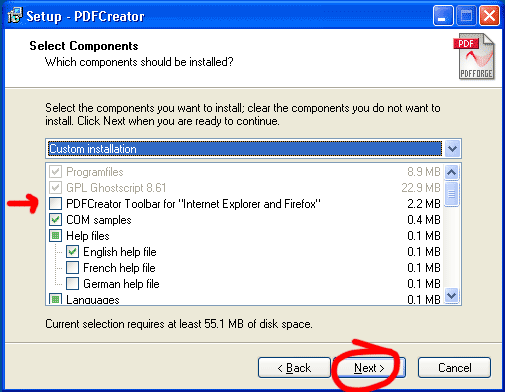 Once the download finishes, navigate to the location that your web browser saves files, and run the file PDFCreator-0_9_5_setup.exe. You must have the ability to install software on your computer. 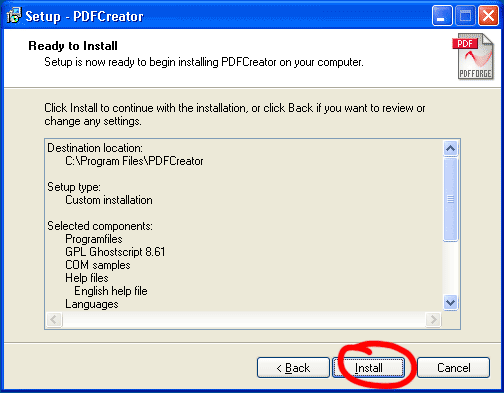 If you do not have this ability, contact your IT personnel and request that this software be installed. 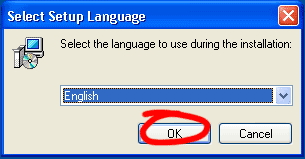 Select English, or the language of your choice, and choose ok. Accept the license agreement (if you do), and click next. Choose Standard installation, and click Next. This box defines the name of the printer you are about to install. 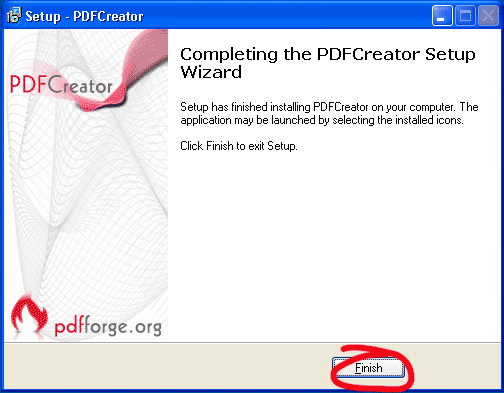 The default of “PDFCreator” is usually a good choice. Click Next after you are done here. The default location in Program Files is usually a good choice. Unless you specifically have a need to install this somewhere else, I would recommend leaving this alone and choosing Next. This window is just letting you know about a web browser plugin for both Firefox and Internet Explorer. You can’t actually change any settings in this window, so just click Next. 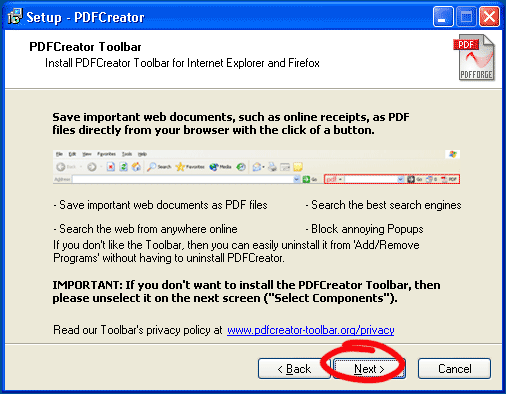 I unselected the PDFCreator Toolbar for “Internet Explorer and Firefox.” If you think you may use PDF Creator in a web browser, leave it checked. It’s up to you. Click Next when you’re done here. The default settings will work fine. This window gives you an overview of the options you’ve chosen. Choose Install. Wait for the bar to go across the window – it should finish pretty quickly. Congratulations! The software has been successfully installed. Choose finish to exit the installer. 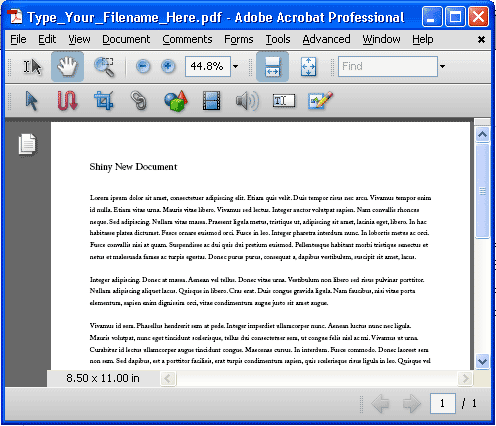 Now it’s time to turn YOUR document into a PDF. In your software, choose Print. This menu is from OpenOffice.org Writer. We recommend checking out OpenOffice as an alternative to Microsoft Office. As you can see it has built-in PDF creation capabilities. 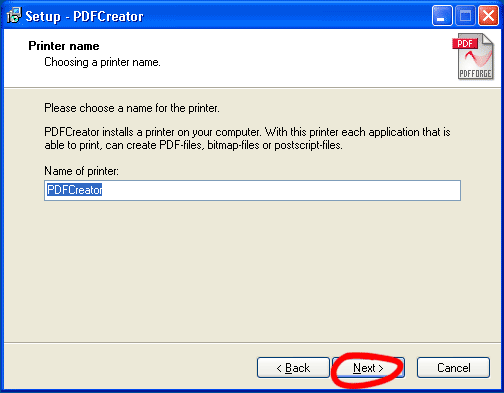 However, the method we are describing here will work with any program that supports printing. 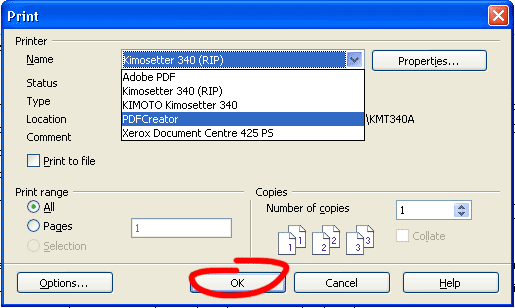 Choose the PDFCreator printer, and then click Ok.
After a few moments the following window will pop up. 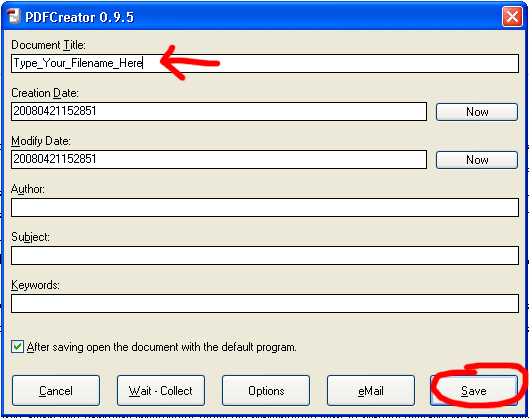 Type in the name of your file, and then click Save. Choose the location that you wish to save your file. As you can see, here I have chosen to save the PDF to the desktop. When you have the file location and name properly set, choose Save. 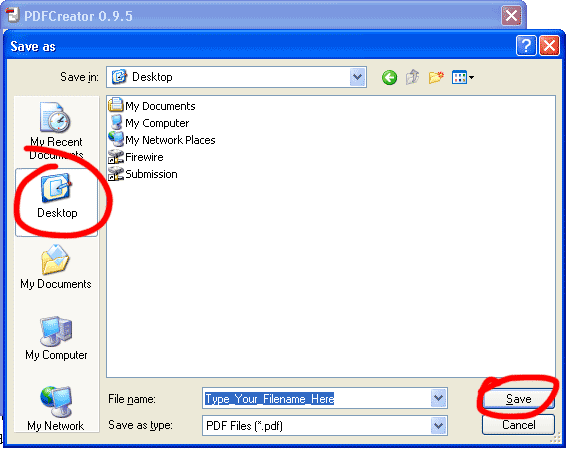 A little animated graphic will pop up and remain on your screen until PDF Creator is done converting your file into a PDF. Acrobat Reader should pop up shortly with your shiny new PDF. 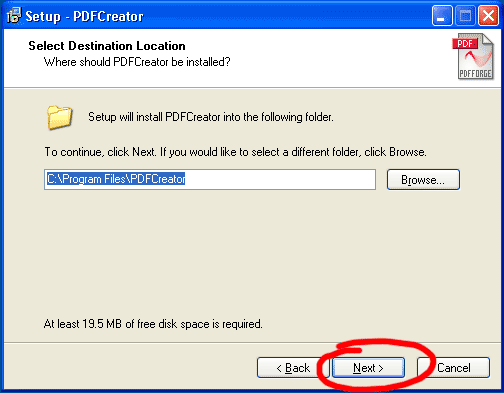 Your PDF is now in the location that you chose, and you now have the option to do with it whatever you please. If you want to send the file to us, I would recommend reading our File Submission Guide.